San Leandro stands to lose nearly $2 million because of Oakland's decision to sever ties with Waste Management — a fact that caught some San Leandro officials by surprise. 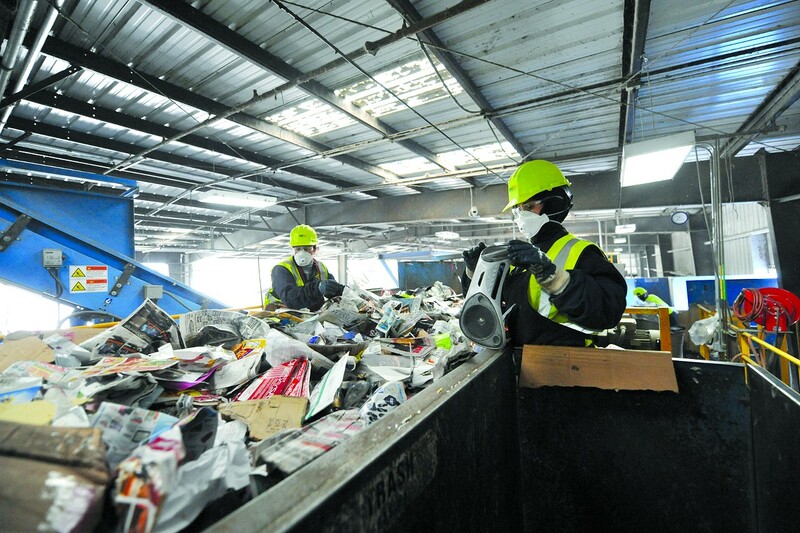 Waste Management may slash numerous jobs at its San Leandro facility. When the Oakland City Council awarded a garbage contract to locally owned recycling company California Waste Solutions earlier this month and passed over what seemed like a stronger competing bid from Waste Management, the effects of the decision appeared to be confined only to Oakland. But a closer examination of the deal reveals that neighboring San Leandro stands to lose nearly $2 million in revenue next year because of the Oakland City Council's decision. Oakland's switch to California Waste Solutions means that San Leandro will miss out on fees it collects from Waste Management for its waste transfer station in that city. Yet despite the fact that Oakland's decision to go with California Waste Solutions will have a substantial impact on San Leandro's budget, the city's officials failed to lobby the Oakland City Council to stick with Waste Management. Instead, San Leandro Vice Mayor Benny Lee urged the Oakland City Council on July 30 to choose California Waste Solutions — a move that went against his own city's financial best interests. Waste Management operates the Davis Street Transfer Station in San Leandro, where it processes waste and recyclables. But as much as 40 percent of the material delivered to the transfer station comes from Oakland, said San Leandro City Manager Chris Zapata in an interview. Starting next summer, California Waste Solutions plans to take that waste stream elsewhere — first to Richmond, and then eventually to Oakland, once it builds its own transfer station at the former Oakland Army Base. The resulting reduction in waste sent to the Davis Street station will translate to a loss of $500,000 to $650,000 in host fees that San Leandro collects annually from the transfer station. "It's not minor," Zapata said. "It's going to be harmful in the short term." In addition, Waste Management was in the early stages of planning a massive $100 million expansion of its San Leandro facility that would have generated another $1.2 million in permit fees for the city. Because the planned expansion was predicated on Waste Management retaining the Oakland waste franchise, it's unlikely to go forward. In addition, jobs at the transfer station are now at risk. The transfer station could slash about 145 positions, said Zapata. In addition, the planned expansion of the facility would have created another 300 short-term jobs and 60 permanent positions. "That's surely an opportunity lost," said Zapata. "What's good for Oakland is not necessarily good for San Leandro." Although San Leandro officials were generally aware of the potential revenue impacts that would result from Waste Management losing the Oakland contract, they were unprepared to mount a fight to retain the funds. Many observers of the process thought the Oakland City Council would select Waste Management, especially considering the fact that Oakland city staffers had warned against choosing California Waste Solutions because the company had never before held a city contract to collect garbage. San Leandro Mayor Stephen Cassidy also said that Waste Management was very confident that it possessed the only qualified bid for the Oakland contract. "When it became clear the City of Oakland was considering taking a different approach, Waste Management officials contacted our city manager and asked for a letter of support," said Cassidy. However, San Leandro did not send the letter until just a few hours before the Oakland City Council first voted on the contract on July 30. "Unfortunately, there was a delay in transmitting the letter," said Cassidy, who sent his own letter prior to the August 13 Oakland City Council meeting, at which the council finalized its decision to select California Waste Solutions. Zapata admitted the letter was sent "very late. It could [have been] a misstep on my part." In addition, San Leandro Vice Mayor Lee compounded the problem by advocating on behalf of California Waste Solutions at the July 30 Oakland City Council meeting. Lee said in an interview later that he had not seen the city's letter, nor was he aware of the ramifications to San Leandro's general fund that might result from his actions. He said he backed California Waste Solutions because it's a minority-owned company that was built on humble beginnings and now offers good jobs to young people and immigrants in the region. Lee also said that despite the financial blow to his city, he still stands by his advocacy for California Waste Solutions. He said he asked Waste Management to negotiate with California Waste Solutions to use the San Leandro transfer station while California Waste Solutions builds its own transfer station in Oakland. But such an arrangement seems unlikely considering the fact that Waste Management sued the City of Oakland last week over its decision and is asking a judge to award it the garbage contract instead. When asked how he would respond to San Leandro residents who may assert that the loss of revenue could have been used for city services, Lee said, "I think that's a fair statement, but my preference is to keep the money in the region." He noted that Waste Management is based in Houston, Texas. Lee also said that before he spoke at the Oakland City Council meeting, no one in San Leandro City Hall had specifically identified the financial impact that Oakland's garbage contract would have on his city. At a San Leandro City Council work session on July 28, two days before the vote in Oakland, the city's administration didn't mention the budgetary hit that San Leandro would take if Oakland selected California Waste Solutions, Lee said. "There wasn't that focus," he said. "I don't think anybody had that as their focus."